It’s the deep of winter here in the great white north, and how I’ve been surviving the long snow-induced traffic jams and boring indoor cardio sessions at the gym is listening to some great podcasts! 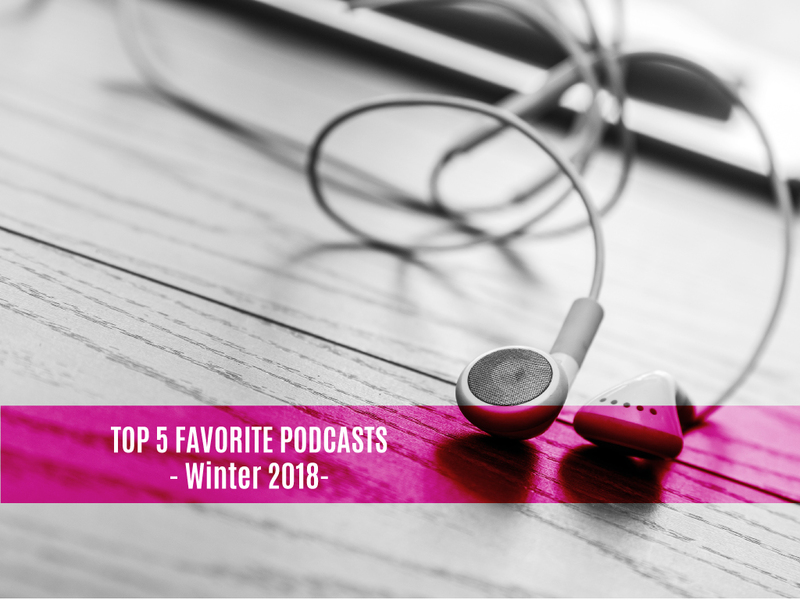 There are so many interesting podcasts out there and I will continue to share my quarterly favorites. If you haven’t discovered the joy of listening to podcasts yet, here are some great ones to get you going. I have no idea how I’ve gone this long without realizing Oprah had this Super Soul Conversation podcast! Episodes feature conversations with the world’s top thinkers, teachers and luminaries. Why I like this podcast so much? Oprah has some really great guests on this podcast and covers so many interesting topics. If you love to be inspired and enjoy personal growth and spirituality, give this one a listen. This podcast is devoted to modern views on family life and parenting. You can choose from so many different episodes that have specific topics about parenting and family. Why I like this podcast so much? Many of the episodes I’ve listened to are practical and down to earth. I find myself actually nodding in agreement, smiling or even laughing out loud when listening to topics and scenarios shared about this wonderful world of parenting. Every episode ends with the same question, “What is the best piece of parenting advice you’ve ever received.” There are so many words of wisdom shared in this podcast, you won’t want to miss it. If you’re a girl boss, this is a great podcast that will inspire you to get closer or reach your biggest goals. Jenna Kutcher is a great mentor offering up tons of advice and relatable stories. Why I like this podcast so much? Listening to Jenna feels like I’m listening to a good friend. She is super down to earth, charismatic and highly knowledgeable. I spent much of the last two decades working towards having more, more, more and realizing it hasn’t made me any happier than before. So over the past year I’ve been working toward adopting a minimalist lifestyle. (A huge work in progress!) In this podcast, Joshua Fields Millburn and Ryan Nicodemus discuss living a meaningful life with less. Why I like this podcast so much? I’ve always enjoyed reading The Minimalist’s blog posts, and to be able to listen to some of Joshua and Ryan’s great advice and insight is very inspiring. The name of this podcast reflects exactly what it’s all about! Host PJ Jonas has a ton of experience being a mom, business person and juggling family health, money and time. Why I like this podcast so much? If you’re a busy mom like I am, sometimes all we need is to hear some great advice and wisdom from other moms who have the same struggles. PJ Jonas offers up some really good tips and tricks when it comes to chasing balance. As always, I’ve been listening to so many other podcasts that didn’t quite make the list this time! I will continue to compile more lists like this as I discover new favorites along the way. Do you host a great podcast? Or do you recommend some great podcasts that I should give a listen to? Let me know in the comments below!